There are many versions of Kim Wilde's 'Kids in America', but there are also a lot of versions of 'Kaupungin lapset', the Finnish translation of that very song. The earliest version was already recorded in the same year as the original song (1981) by Mona Carita - and many other Finnish artists have had a stab at this translated version since. 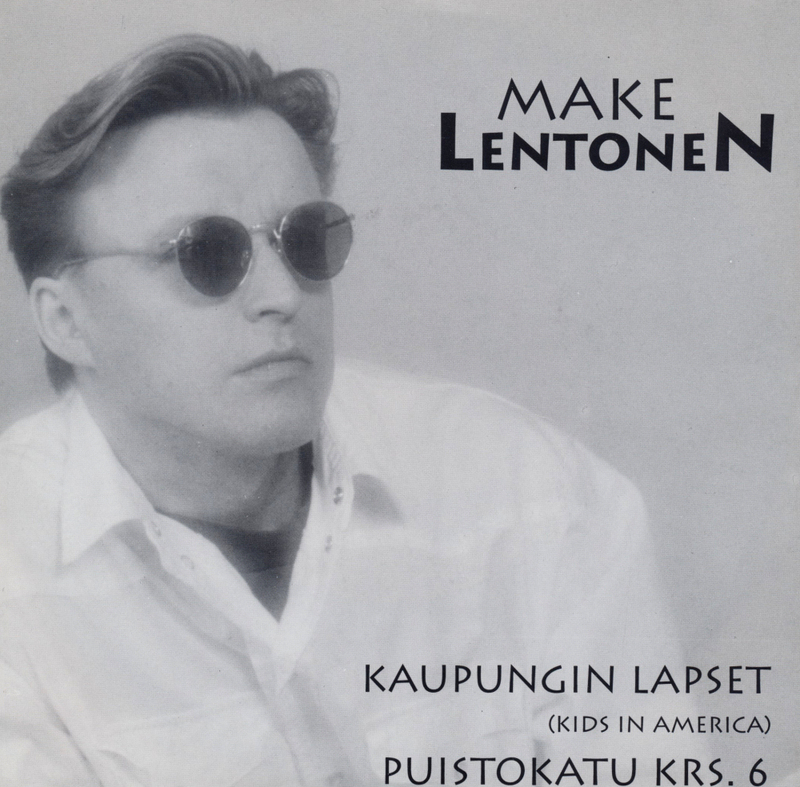 Make Lentonen recorded his version in 1993. This single is hard to find; for a long time a version without the picture sleeve has been available on Discogs.com, but finding the version with its original cover proved to be more difficult. It took me a long time, but I've finally found a copy - also on that website. Once it was offered, I snapped it up within a couple of hours.